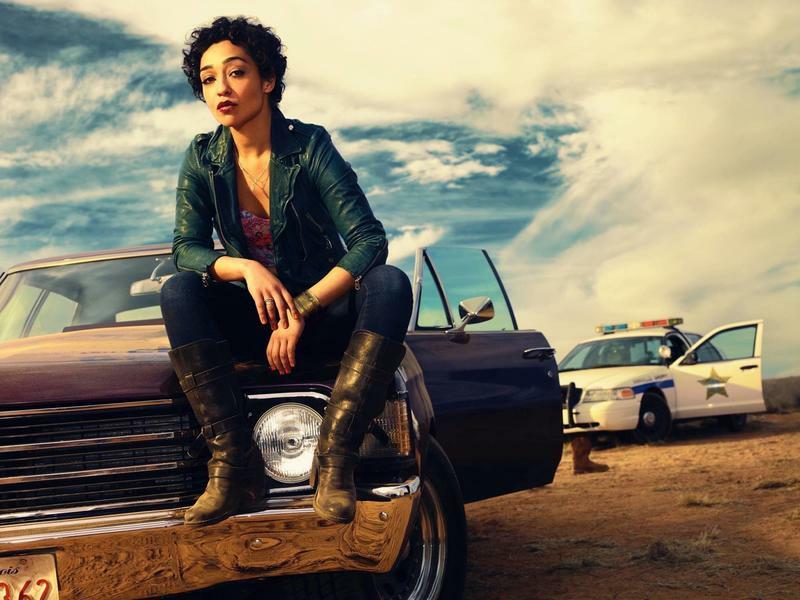 In Preacher, AMC's bizarre new series airing May 22, audiences are quickly thrust into a world where racism is rampant, men dominate, and extreme violence is the norm—and that's only the half of it. 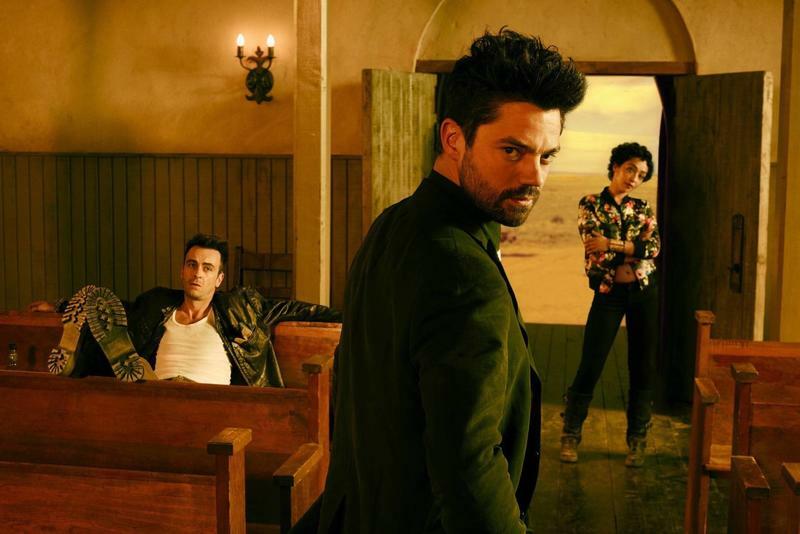 Having seen the first four episodes, I can already tell Preacher is going to be one of the best new shows on TV. Using elements of the supernatural, mystery and humor, it's perfectly primed to command a cult following, the kind of show people obsess over week in and week out. If you've never heard of the comic, you're about to learn why Hollywood has wanted to adapt it for so long. 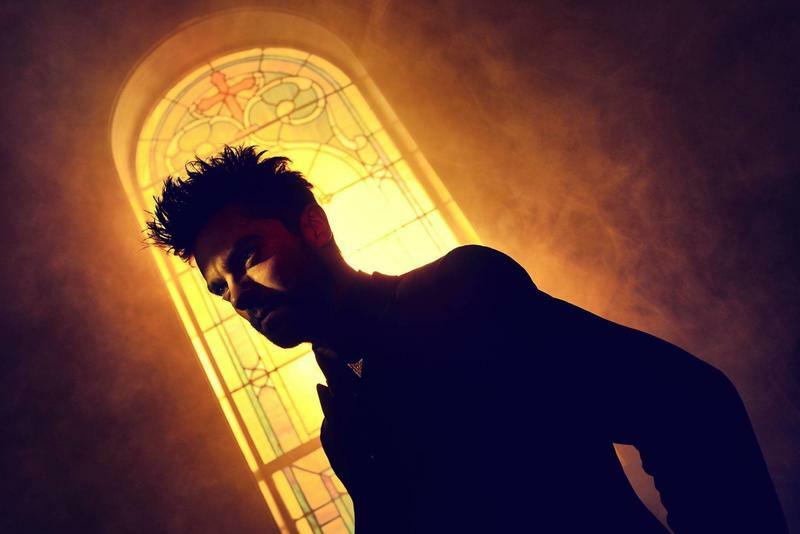 After a brutally violent opening involving a mysterious entity, viewers are introduced to the show's main character, Jesse Custer (Dominic Cooper), a small town preacher who's at an impasse. As a hard-drinking, fisticuffs-throwing man of God, he doesn't exactly strike you as the religious type, but the show soon reveals that he's in the unlikely position of local preacher more out of obligation than faith. From what I can piece together, he once led a life of crime before a job went bad, causing him it up for good. Now, in an effort to fulfill a promise made to his late father, he's trying to become "one of the good guys." Cooper, who most fans will recognize as the young Howard Stark in Agents of S.H.I.E.L.D., is fantastic as Jesse, playing someone who's simultaneously confident and completely sullen. There's a convincing duality between his commitment to the Lord and his thirst for the hard life. But things become more complicated when he's suddenly imbued with the strange power to command the obedience of those around him. Then it becomes a question of how he'll use such a power. I won't spoil what he does with it, but suffice to say things get pretty dark pretty quick as Jesse gives into temptation. What would you do with that kind of power? What I'm most impressed by is how well the show—and Jesse—juggles such a mysterious power while still keeping the show grounded. He struggles with his own sense of morality in a believable way but becomes renewed in a way once he realizes what his newfound power can do. 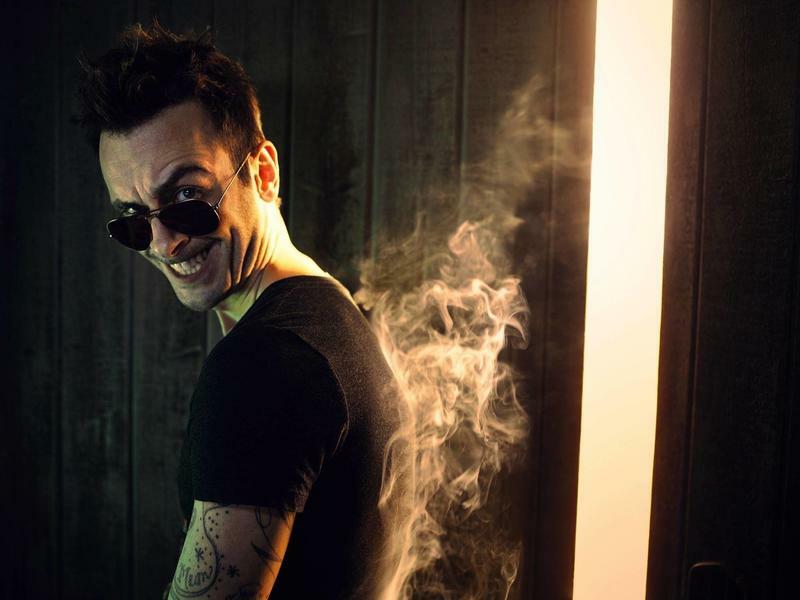 But as fascinating as Jesse is, it's Tulip O'Hare (Ruth Negga) and an Irish vampire named Cassidy (Joseph Gilgun) who elevate the show to a higher level. Just check out Tulip's introduction; she's a tough and charming criminal who has a complicated connection to Jesse's past. Cassidy, meanwhile, is surprisingly complex, and never strikes as mean-spirited or threatening despite his dangerous lineage. After years of running from vampire hunters—you'll love how Cassidy is introduced—he just wants to settle down and live the simple life. Of course, making things even more complicated is the arrival of Deblanc and Fiore, two "government agents" seeking to take back the power now inhabiting Jesse's body. 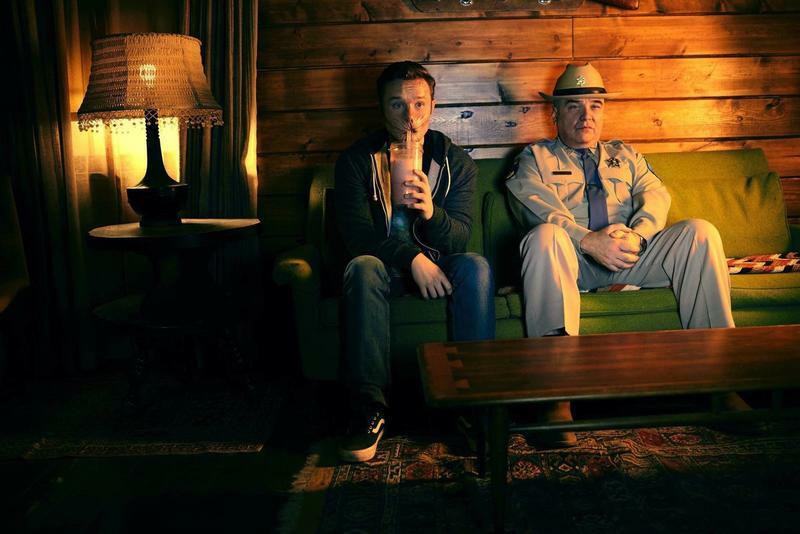 These two characters are stoic and wickedly funny—something out of a Coen Brothers movie—as they try to navigate the delicacy of the situation without drawing attention to themselves as outsiders. I went into the show having never read the comics, so my knowledge of the property only goes as far as the basic premise. So far as I can tell, however, the show has matched the comic in tone and intensity, using humor and violence interchangeably, and often together. I will say that even after four episodes, there's still a lot I don't understand, but there's a lot of intriguing world-building taking place, and I'm eager to learn more. Ultimately, Preacher is such a strong addition to AMC's lineup because it captures small town living and the depraved residents who inhabit it. 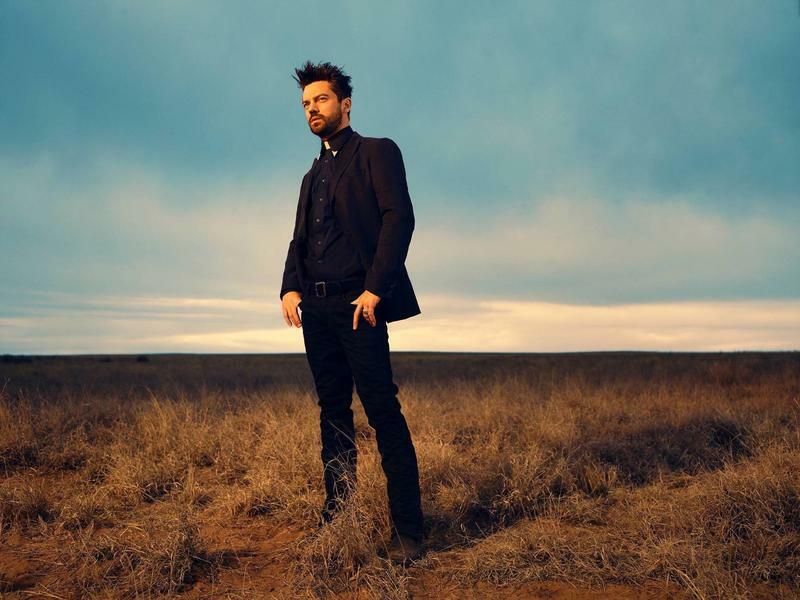 Taking place in Annville, Texas, the town has a distinct look of desperation and part of that has to do with Preacher's distinct color palette, using plenty of dusty browns to create a somber mood that hangs over the town like a dark storm. Even in such a depraved world, Preacher expertly mixes the supernatural with themes of faith, family, and right and wrong, all while keeping the show grounded. And through it all it's immensely funny, despite its fetishism of violence. Early on, there's a particularly hilarious sequence involving Jesse and Donny Schenck (Derek Wilson), a serial abuser and all-around bad person, that's both shocking and gut-busting. It's just one of many moments like it—there's one later in the show involving Cassidy that's sure to become a classic. 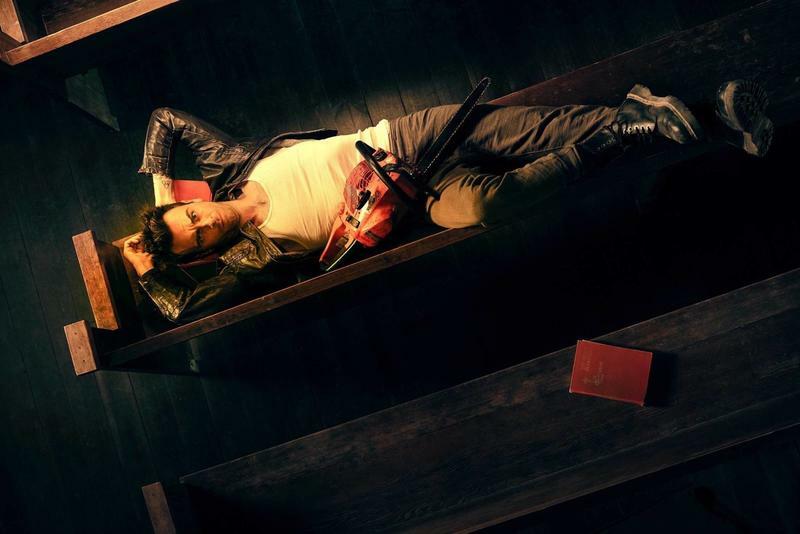 Preacher never feels cartoonish or over the top. Instead, it's an assured adaptation of the comic, embracing its weird world with sharp writing, fantastic characters and plenty of funny moments. 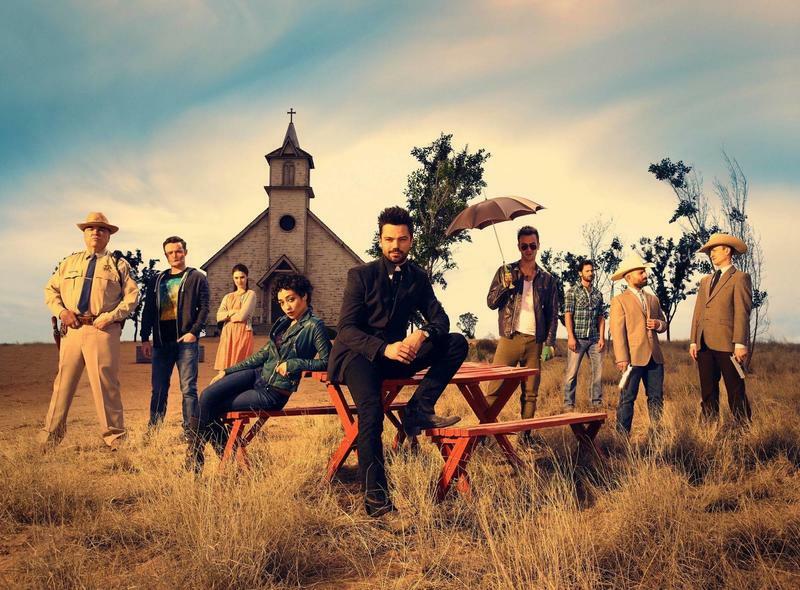 Viewers who know absolutely nothing about Preacher might feel lost in the beginning. But stick with it, and I promise you'll love it.